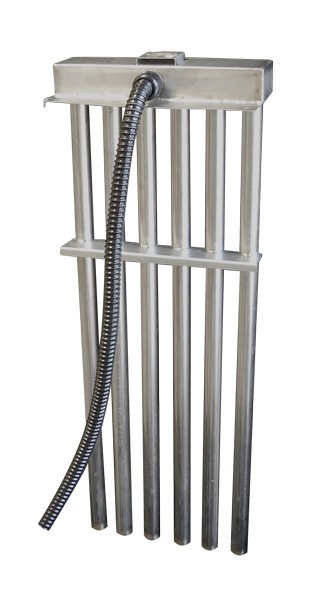 Over-the-side electric immersion heaters are widely used in the metal finishing industry in plating tanks due to their convenience at lesser cost when compared to a Bottom or L-shaped Electric Immersion Heater. 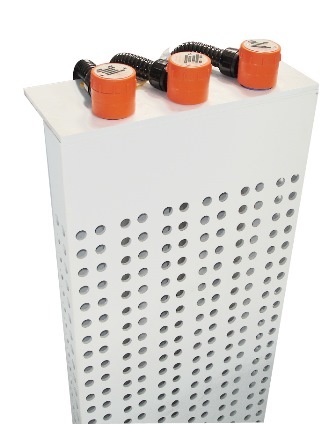 The chemical solution in the plating tank doesn't need to removed to change heaters. Over the side Immersion Heaters are typically used in smaller tanks (or in larger tanks with a steering device for temperature uniformity) with lower temperatures.